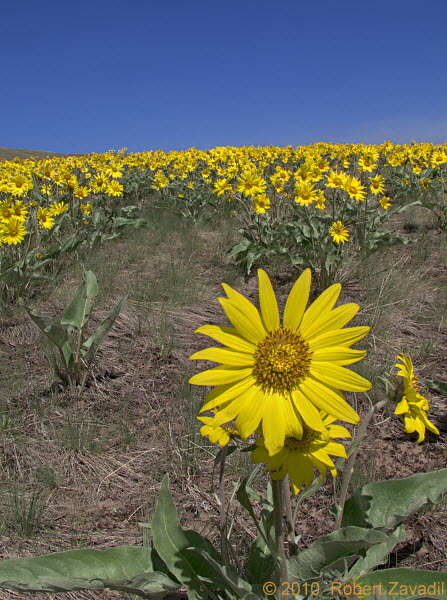 By June each year the brilliant yellow of the Balsamroot greets the visitor to Glacier National Park. In areas where the plants are numerous, the large number of blossoms on each plant results in a spectacular yellow carpet, contrasting vividly with the deep blue of the Montana sky. Such displays can be seen in the area of Two Dog Flats, along the road by St Mary Lake.